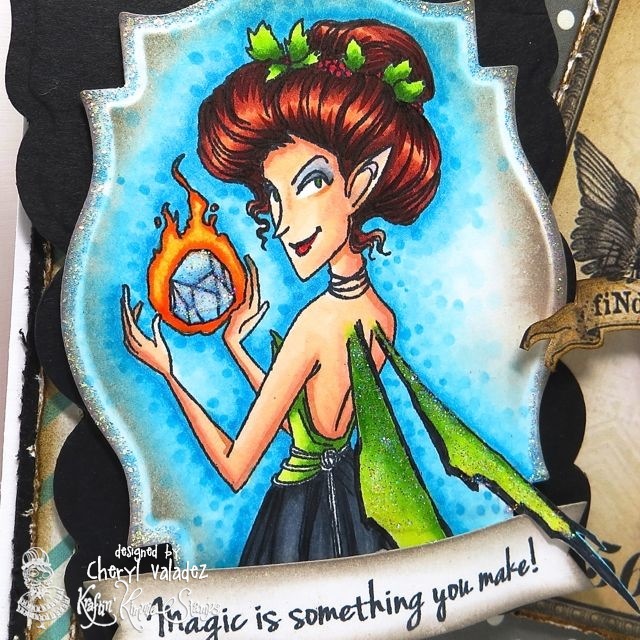 The Ink Trap: A new challenge at Kraftin' Kimmie Stamps: Things with Wings! A new challenge at Kraftin' Kimmie Stamps: Things with Wings! Hey, all! It's Saturday and that means there's a brand spanking new challenge at Kraftin' Kimmie Stamps! I hear the hostess this week is lovely, talented, oh and quite humble...! I wonder who it could be? Oh yeah, it's me! LOL! Just having a bit of fun :) I really am the hostess this week and my challenge for YOU is called Things with Wings. Create a project featuring an image, paper, or embellishment sporting wings and you could be our randomly selected winner! 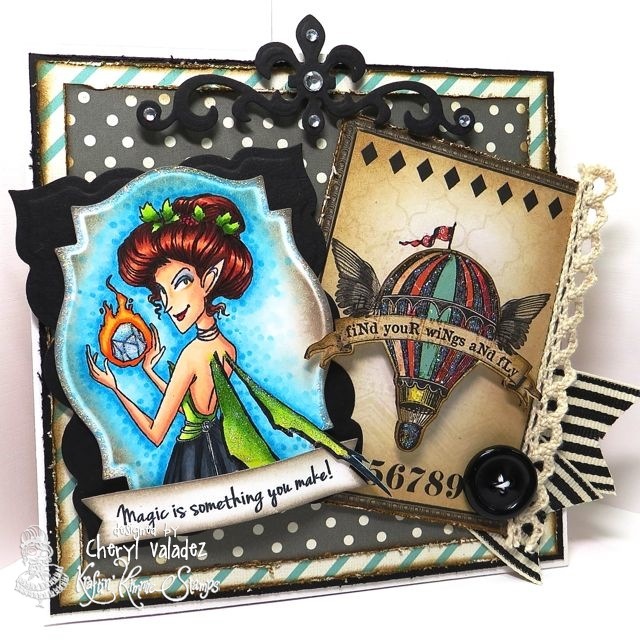 Kraftin' Kimmie Stamps has LOTS of designs with wings...check them out in the KKS Shop. For my card, I've used Naida. She was part of the Sassy Sprites release and I just love her and all of her fabulous friends. They are so much fun to color and low and behold, they all have wings! LOL! While you're poking around the store, be sure and check out the Frugal Friday specials and the Gimmie Kimmie Kits. If you loved the last release, the Gimmie Kimmie Kits are the way to go, but you have to hurry, because they are only available for a limited time. Okay, I best scootin'! Until next time, stay krafty!